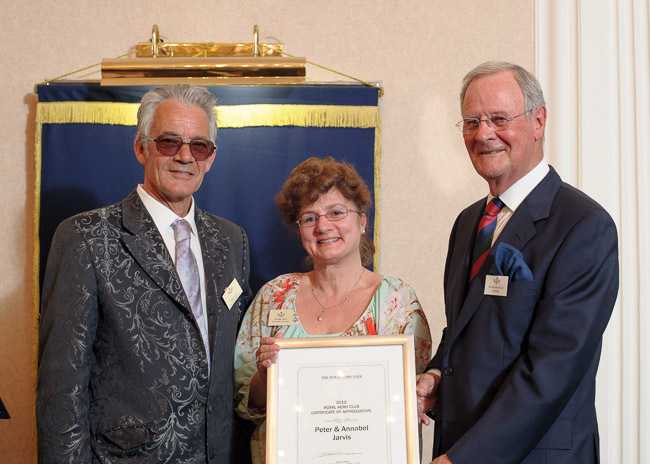 "Peter and Annabel Jarvis (aka ‘The Bedford Cavalry’) have provided support and help to their local microlight community above and beyond the call of duty. Day to day they lead the Bedford Microlight Club, but their help and support goes far beyond this. assistance including accommodating them, providing space in a hangar for their damaged aircraft and taking them to the train station. In the summer of 2012 they came to the rescue of Rob Kraike who found himself in adverse weather in France on the way back from the Blois trade show forcing him to deploy his ballistic parachute, landing in a forest. Rob contacted the Jarvises who were on their way back from Blois by road. They took a 200 mile diversion to return Rob and his damaged aircraft back to his base"
Despite the weather, the ground school has had the usual crop of exam successes. We have also had some successes in the air. Charles Le Boutillier, flex wing, went solo for the fist time. Congratulations to Charles, Chris and Karl.